For many years now, the heavyweight division suffers loses. 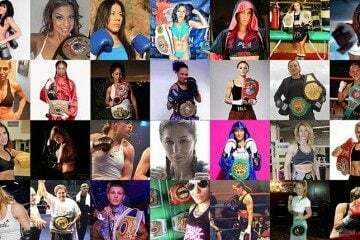 The loss of its big names and the star power that comes with it, the loss of title fights with a difficult to predict outcome and implicitly the loss of better coverage in the U.S. as three of the important belts are being held in Germany by the younger Klitschko brother. Adding to the symbolic decline of the division comes the official retirement of Evander Holyfield, a fighter that laced his boxing gloves and fought the best of his era. There are many fighters still out there who had seen better days but chose to fight on, a less imposing Sugar Shane Mosley, a not quite as slick Roy Jones Junior, a James Toney battling weight issues and yet there are others for whom age is but a number, fighters like Bernard Hopkins, still displaying great reflexes and technique. It is hard to tell if Holyfield made the best decision when he chose to hang them up but with this being his second such announcement coming after a period of inactivity of little over three years, we tend to think it was. With a record of 44 victories (29 of them by way of knockout), 10 losses and 2 draws, Evander Holyfield made it official at the age of 51, just months before his planned induction into the Hall of Fame. His prior announcement was made in 2012 with his last bout taking place in 2011, a TKO victory over Danish heavyweight Brian Nielsen. He followed up by stating he had no desire to get hit anymore and that nobody would fight him anyway. Born on October 19 in Atmore, Alabama, Holyfield started boxing in Atlanta at the age of 12 and went on to have a prolific amateur career. His pro debut came at the age of 22, at light heavyweight, against Lionel Byarm in a fitting location for great fighters, the Madison Square Garden. Holyfield continued to climb through the ranks, boxing at cruiser weight and then finally, heavyweight, winning against George Foreman and Larry Holmes, going to the decision with Riddick Bowe twice until eventually getting TKO’d in the third fight, drawing and losing to Lenox Lewis and much later, losing by a controversial decision against a much bigger Valuev in 2008. Even then, at the age of 46, Holyfield proved to be in good shape, dancing around the giant Russian boxer in a fight from which David Haye must have learned a great deal. 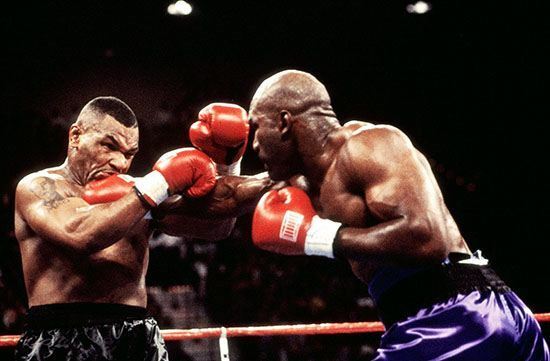 To the casual boxing fans, Evander is remembered as Tyson’s opponent, the one that got his ear bit off in a bout that brought a deal of bad publicity to the sport of boxing. After previously defeating Tyson in a long awaited title fight in 1996 (in which Tyson was favored to win), Holyfield faced him again in 1997. In the third round of the rematch, Iron Mike bit his opponent’s ear in what is seen by many as a rash attempt at being disqualified. 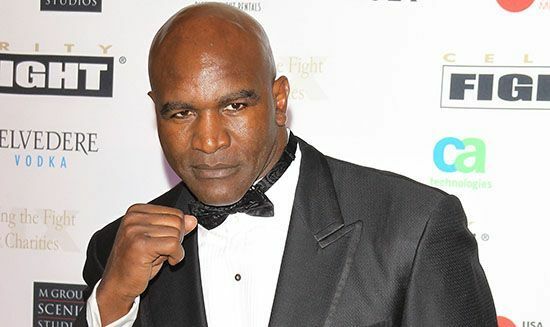 While not having a perfect public image or the perfect professional record, Evander Holyfield has made his mark in the sport he loves and although he hasn’t fought in years, his athletic and slick style of boxing, so common once among American fighters will be sorely missed in the heavyweight division.